Swift 2.0.4 is out with a friendly options page and much more..
Options page is more user friendly now. Added gravtar next to post title and gave it a whole new styling. You will love it. 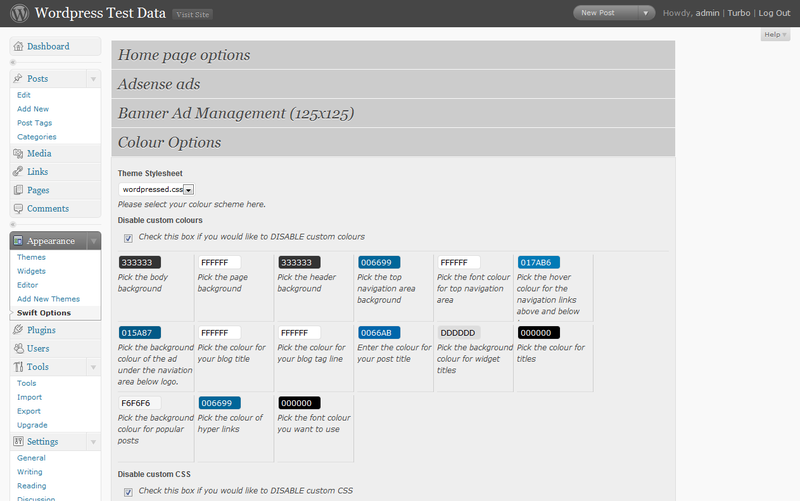 Added an option to add adsense ad under the navigation area. I have been using adsense for more than three years, trust me when I say that this postion has higest CTR and could double your adsense revenue when used with proper colour combinations. Fixed the email subscription link. Fixed some bugs in comments template. * No serious updates except for few minor changes to meet wordpress theme drectory requirments. * Reorganized the options page. * Fixed the rss feed bug. * Added rounded corener support to safari. * Fixed all the CSS and HTML errors. * Added some default widgets. * Made the height of navigation area above and below logo fluid now you can have as many pages and categories as you want. Please drop in your valuable suggestions and feedback.. Checkout our support forum if you have any problems or need help customizing SWIFT. Nice Theme and Nice effort from you.